I rally enjoy your work. Justin, and am excited to have a chance to previw your new stuff here!!! ;-) 9 years 8 months ago. 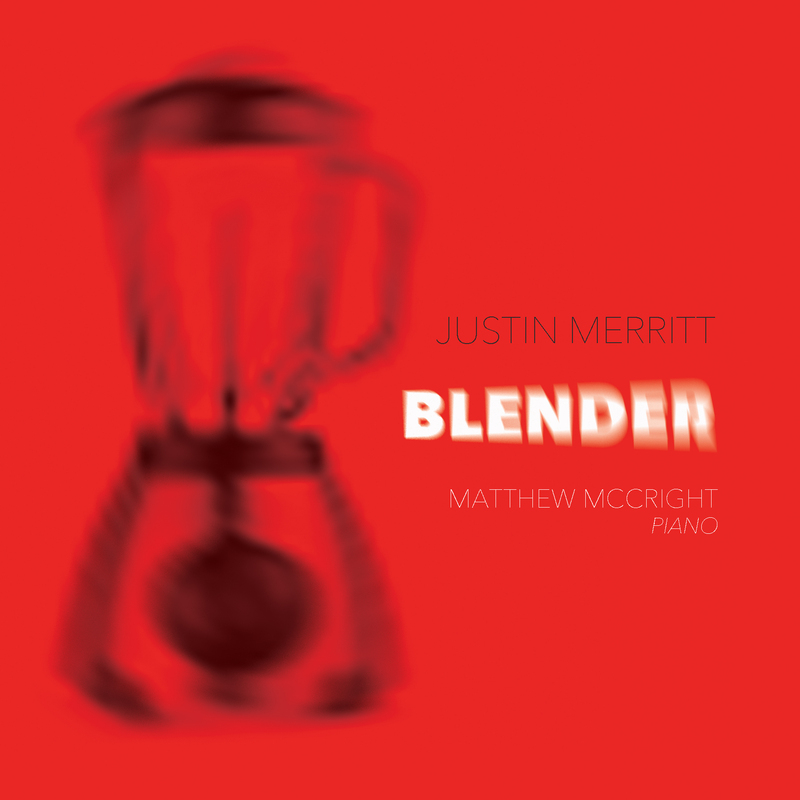 Blender throws together a potent mixture of energetic works by Minnesota-based composer Justin Merritt, performed by athletic pianist Matthew McCright. The Blender Project, which includes several pieces scattered throughout the album, arose from a simple question: what kind of music would sound good in a bar attached to a bowling alley? Inspired by a concert at Minneapolis’ Bryant-Lake Bowl -- a restaurant, bowling alley and performance space rolled into one -- Merritt began working on a series of high potency pieces for amplified piano with live electronic manipulation, creating duos between the musician at the piano and the musician at the laptop. The resulting music easily accommodates the noise floor of the venue or at least blends in when it doesn’t. As the record unfolds, it intercuts these often improvisational duets with more fingers-on-the-keyboard works, like Album Leaves -- a suite that charts the course of a year from spring to spring -- andPreludes for Piano -- the oldest collection on the album, dating from Merritt’s schooldays at Indiana. What emerges is a picture of a composer deeply engaged with the possibilities of the piano, in both traditional and boundary-breaking ways, and a musician deftly handling the diverse demands of that composer’s pieces. Justin Merritt received his Bachelors from Trinity University and his Masters and Doctorate from Indiana University. He studied composition with Samuel Adler, Sven-David Sandstrom, Claude Baker, Timothy Kramer, Don Freund, and electronic and computer music with Jeffrey Hass. He is currently Associate Professor of Composition at St. Olaf College. Matthew McCright currently resides in Minneapolis, Minnesota, is a member of the piano faculty of Carleton College, and teaches privately in the Twin Cities. He has premiered numerous pieces, many written for him, and has collaborated with such composers as Pauline Oliveros, Terry Riley, Augusta Read Thomas, Paul Dresher, Michael Gordon, Mary Ellen Childs, Julia Wolfe, Mark Anthony Turnage, Alvin Lucier, and Judith Lang Zaimont among many others.